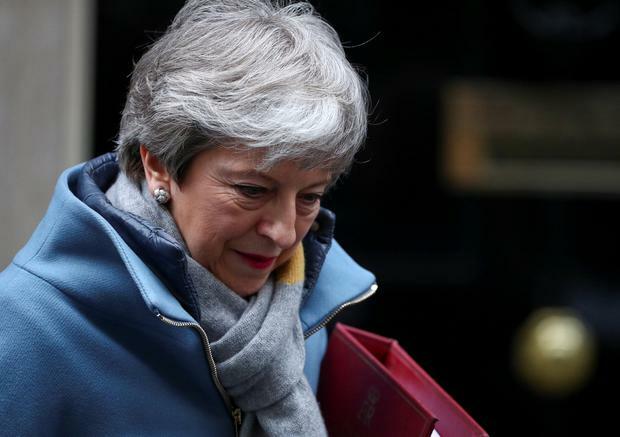 Tory Remainers and Brexiteers yesterday rounded on Theresa May's "shameful" leadership as rivals openly plotted to succeed her following her request to extend Article 50 by three months. The UK prime minister came under fire from all corners of her party as members of the European Research Group of Eurosceptic Tory MPs sent a letter to Downing Street setting out four demands for her to gain from this week's EU Council meeting in order to get her Withdrawal Agreement through parliament. The letter, which was signed by 39 MPs, tells Mrs May she should have "no reason to fear" leaving on March 29. Warning her not to delay Brexit if she values "our grassroots", the two-page letter calls on Mrs May to seek "legally binding changes to the Withdrawal Act, eg. a unilateral exit clause, a legal end date or Malthouse alternative arrangements". It came after all but three of the 20 MPs who spoke at an ERG meeting on Tuesday threatened to call for her resignation at last night's meeting of the 1922 committee of MPs.